Sophisticated and stunning townhome on Shallcross Ave.! Welcome to exclusive gated community of Westhill, where magnificent, finely-appointed 3BRs/2~ bath townhome awaits. Upgrades galore! Enjoy remodeled Kraft Maid kitchen, remodeled master bath, upgraded PR, new hardwood floors/paint throughout, new hot water tank, resealed roof, remodeled laundry room, new entrance doors, new ceramic tile in front/rear entrance, remediated balconies/external stucco and more! 1st floor touts upgraded PR with charming barn door, driftwood finish ceramic tile floor, and black DD cabinet vanity/toilet. FR is both elegant and approachable space with angled built-in sleek cabinets/shelves, driftwood finish accent wall, all-glass back door with new ceramic tile inset that leads to courtyard, and access to garage/LL. Main level is spectacular with open-floor concept, gorgeous polished hardwoods, and architecturally-appealing elements of soaring 20-ft. ceiling, myriad of windows, and rounded walls. Neutral hues of pewter offer blank caas for complimentary colors. LR/DR is sun-infused thanks to glass sliders plus windows that span front wall and lead to quaint balcony overlooking quiet tree-lined street. Opposite wall is host to wood-burning FP with white wood surround and slate hearth. Relish changing seasons through generous windows! Entertaining is effortless with kitchen just steps away and connected to main space. New kitchen is outfitted with extra-high gray cabinets, quartz countertops, SS appliances, pass-through to DR and new built-in alcove with lights and shelves, perfect for cookbooks and chef-loved accents! Polished space to create culinary delights! Off main rooms is MBR with 9 ft.- ceilings, 2 walls of closets and glass sliders that grant access to adorable private balcony overlooking beautiful brick serene courtyard dotted with robust greenery and majestic lamp posts. Master bath has all-tile shower, jacuzzi and built-in alcove with glass shelves. Hardwood steps with volume ceiling leads to 3rd level of 2 additional BRs with roomy closets and full bath. Laundry room coeniently on this floor boasts new barn door and W & D, while loft area exudes wealth of charm! Bump-out is furnished with custom-made, built-in maple desk that overlooks LR and looks out dual windows. Fabulous work space! Appreciate 2-car garage with storage plus 2 parking spaces. Walkable to Trolley Square, Brandywine River and downtime life! Chic city living in this cutting-edge contemporary! Beautifully maintained home with an open floor plan. Featuring a gourmet kitchen with upgraded appliances (double wall oven and granite counter tops. plenty of eating areas plus a separate dining room, large great room, separate laundry room with laundry tub plus a large 3 season Florida room. There is a first floor master suite and 3 bedrooms on second floor. Economic Rinnai gas water heater. Plantation shutters are included. Lovely hardwood floors. Large landscaped front yard. This community is a short drive to the beach, restaurants shopping and entertainment. A very coenient location. New HVAC 2 years ago. Fantastic price on this brand new 3 bedroom, 2.5 bath twin/villa home (will be ready in February) in the newest section of BAYSIDE! This home in the Herons Ridge section has amazing upgrades including: sunroom addition, paver patio, oak-tread stairs, designer flooring throughout the main level living areas, upgraded cabinets, granite counters, and many other beautiful designer finishes and upgrades. (photos of model home) award winning Beazer Homes, where every new home is EnergyStar certified. Beazer will pay the $5,000 for buyers initial sports membership fee PLUS Beazer is splitting the transfer tax up to 2% and half off designer upgrades up to $15K. The Bayside Community offers world-class amenities including: a Jack Nicklaus Signature golf course, which is one of the Top 100 Course's in the US. Other amenities include: club house, bar and restaurants, tennis, bay front beach area, kayaking, 4 pools & 2 fitness centers, Freeman Stage with national acts, walking and biking trails, beach shuttle, maintenance-free living, plus much, much more! *On-site sales person represents the seller only. This impressive 2,400 sq. ft. townhome/villa, on a premium lot, in The Refuge at Dirickson Creek is fully loaded with builder upgrades and features an open floor plan with gorgeous STONE floors throughout the main level. Spacious 1st-floor owner's suite has a tray ceiling, walk-in closet, custom blinds, large bathroom with tile shower and double vanity. The gourmet kitchen has upgraded cabinetry, granite countertops, and stainless steel appliances. The main level features a gas fireplace, built-ins, recessed lighting, office/flex room, laundry and half bath. The family room is wired for surround sound. Enjoy the pond view from the 17x12 screened porch and 15x12 patio. Second level has 2 guestrooms with a large adjoining full bath and a bonus room which could easily be coerted to a 4th bedroom. There is a large storage room and garage. Neutral paint throughout the entire home. Enjoy maintenance-free living since the exterior maintenance is provided by the HOA. Enjoy all the amenities that the Refuge offers such as tennis, pool, fitness center. basketball, volleyball and shuffleboard, Near many top restaurants, and shopping. JUST 3 MILES TO THE BEACH. This home is a perfect location ! This 3 bedroom 1 bath home is so close to the beach, the shops and all of the great restaurants of Rehoboth. It is an easy walk or take the bike. Leave the car at home. Tanger Outlets are also an easy walk for all of your shopping needs. This up and coming area is waiting for a new owner. The kitchen and bathroom have been redone. The roof is fairly new. There is a large 2 car garage and a car port for 2 additional cars. There are 2 sheds on site. There is a full unfinished basement for all of your storage needs. Buy now and head to the beach this Spring! Immediate occupancy. The to-be built Ashford floor plan offers a well-equipped country kitchen with pantry coeniently adjoins the great room and gives you plenty of room to cook. An energy efficient tankless water heater, hardwood floors, & granite are just a few of the many included features in this luxury home. The joy of building your dream home with , the beach area?s luxury homebuilder, is that there are multiple customizable features to choose from. The homeowners? association fee is only $200 per month and includes grass cutting of your personal lawn along with access to the community clubhouse with fitness center, outdoor pools, bocce balls courts, outdoor grilling pavilion & community firepit. Bike to the beach from the community or hop on the local area trolley. On-site unlicensed sales professionals represent the seller only. The Armistead is designed to offer you all the amenities you want in a coenient first-floor plan that suits your lifestyle. The Foyer welcomes you home with an optional tray ceiling and double doors to the Study ~ or choose to make the Study a third bedroom. A coenient closet, full bath and bedroom are to your left. To the right, a first-floor laundry is close at hand. A formal Dining Room is accentuated by columns. Don~t forget to add the tray ceiling to complete the elegant affect, and select the two-foot extension for a dramatic hexagonal shape. An enormous Great Room makes entertaining easy, and it~s open to the Kitchen and Dinette over a breakfast bar so that you never miss a moment. Add the optional Morning Room for even more room to entertain and the island extends as well. Set apart yet still coenient to the rest of the house, the owner~s area features a spa-like Owner~s Bath with soaking tub, separate shower, dual vanities and a compartmentalized water closet. Or choose to upgrade to a Roman shower to enhance the feeling of being at a private resort. The Owner~s Bedroom has an optional tray ceiling; and don~t forget to add the sitting area for the ultimate in light and space. 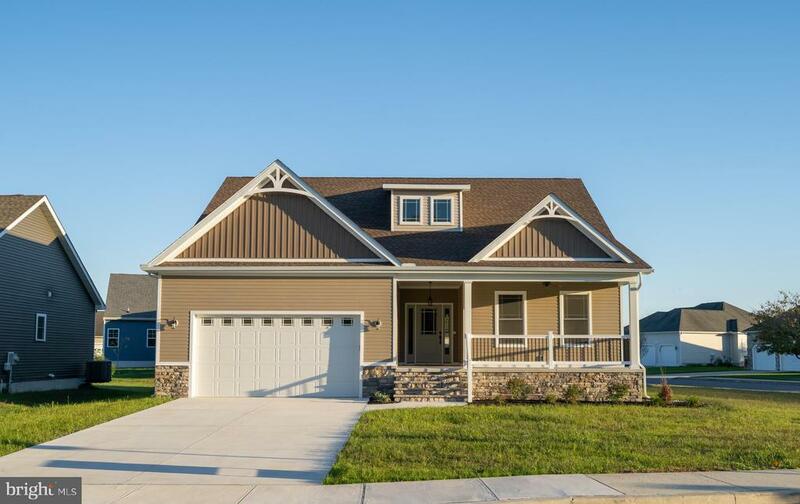 The Armistead has a variety of stone, siding and brick elevations to choose from, many with full or partial front porches and all with a standard two-car side or front entry garage. BAYSIDE! 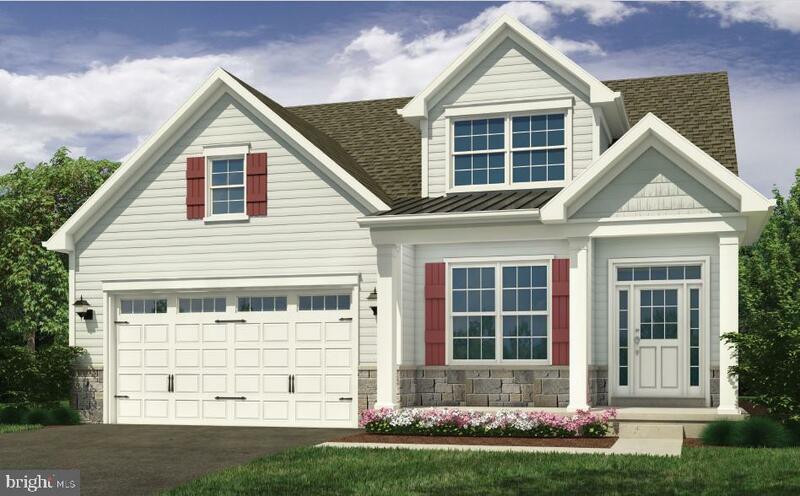 Voted Delaware's "Best Community", The Bethany Plan located in Heron's Ridge is a two-story duplex home featuring a first floor master bedroom and a covered patio, perfect for entertaining. The large, open kitchen overlooks the dining and family room making it easy to socialize while preparing meals. The foyer gives this plan an open and spacious feel from the moment you enter. The two-story family room creates a grand, open space for entertaining. The upstairs loft provides the additional space needed for a desk or study area.The Bayside Community offers world-class amenities including: a Jack Nicklaus Signature golf course, which is one of the Top 100 Course's in the US. Other amenities include: club house, bar and restaurants, tennis, bay front beach area, kayaking, 4 pools & 2 fitness centers, Freeman Stage with national acts, walking and biking trails, beach shuttle, maintenance-free living, plus much, much more! On-site unlicensed sales people represent the seller only. award winning Beazer Homes, where every new home is EnergyStar ~ efficient. Beazer will pay the $5,000 for buyers initial sports membership fee. NEW CONSTRUCTION @ Whispering Woods - DALTON MODEL - Come see what all the excitement is about Whispering Woods new 55+ community offers you all you need to retire in this 178-home private treed oasis. With all the amenities you could want, beautiful club house with heated pool, fitness center, caterer's kitchen, pickle ball court, bocce ball court, and horseshoe pits, just to name a few. Relax while we cut the grass, weed, mulch, and trim and we will even shovel that snow for you right up to your front door. Trash removal is also included. Homes are designed for enjoyment, with open floor plans, great rooms, dining areas, private study, and designer kitchens. Large master suites with tray ceilings, master baths have tile floors and tile shower surrounds with a bench seat. 1, 2, or 3 extra bedrooms are available depending on the plan you choose. Many of our plans include a cozy front porch and all include a stone water table and concrete driveways to enhance your curbside appeal. Since we try to accommodate all your needs we will build to suit with lots of choices to build your perfect home, if you can dream it, we can build it. The sales center is open every day from 10 am to 5 pm or by appointment. Terry Burk and Terri Hill will be happy to answer all your questions. Offering one level living with 3 bedrooms, 2 baths, and 2 car garage. Open gourmet kitchen with separate pantry closet and one level large island, range, microwave, and eat-in kitchen overlooking the spacious great room. Optional 2nd floor available with bonus room or 4th bedroom and bath. Bayfront community featuring private bay beach, state-of-the-art fitness center and large pool with panoramic views of Little Assawoman Bay. Boat slips and kayak storage, plus crabbing & fishing pier for resident to enjoy. On-site unlicensed salespeople represent the seller only. 2% Base Price Realtor Commission. $6000 Towards closing costs when using R Mortgage or paying cash. Stunning townhouse loaded with all the bells and whistles! Lovely foyer on the first level leads to a bedroom and full bath as well as a large open patio in the rear of the home. The second/main level offers hardwood floors, an open floor plan with great room, dining room and kitchen with stainless steel appliances, 42" cherry cabinets and granite counters. The great room features a fabulous two-sided gas fireplace that is shared with an outdoor lanai leading to a large open deck overlooking the woods and protected wetlands. Additional balconies are a bonus on the front of the 2nd level as well as a private balcony off the master bedroom. All of this in a gated community offering two clubhouses, two pools, tennis courts and just minutes to beaches, golfing, shopping and dining. Luxury town home in a gated community just 5 miles to Rehoboth Beach. This home offers tons of upscale features including 10' ceilings, hardwood and tile flooring, granite counters, stainless steel appliances, two-sided gas fireplace, garage, instant hot water and multiple decks and balconies. The ground floor features a family room with wet bar, or it could be used as a 4th bedroom. Enjoy amazing wildlife views from your second floor rear deck overlooking a forest preserve. The master suite is massive and offers new carpeting, a private bath with soaking tub and separate shower. Community amenities are first class and include two clubhouses with fitness centers, two pools, tennis, pickleball and basketball courts. A golf course and views of Rehoboth Bay are just a short walk away. Condo/HOA fees cover lawn maintenance, pools, clubhouses, trash removal and common area maintenance. Live the good life here! Seller offering 1 year HOA fee paid for acceptable offer!! Buy now and be in by Summer 2019! Visit Batson Creek Estates and find an unbeatable value for single-family homes just minutes from downtown Bethany Beach and Fenwick Island, featuring low HOA dues in an award-winning Natelli community with completed clubhouse, fitness center, pool, gathering spot with fire pit, and lawn maintenance. OCEAN BREEZE offers the coenience of one level living with grand style and elegance. This home includes 3 BR & 2 BA with an optional fourth bedroom and loft on the 2nd floor. Open gourmet kitchen with large one-level island, 42" cabinets, granite countertops, and GE Stainless Steel Appliances. The luxurious owner?s suite is privately tucked away and features a large walk-in closet and luxury bath. A large storage closet and 2-car garage is also included. Optional covered porch or screened porch. On-site unlicensed salespeople represent the seller only. $5000 Towards closing costs when using R Mortgage or paying cash. 20% Off Selectable Options. Welcome to your new home! This open concept floor plan giving you 1944 sq feet of living space is sure to please all. A host of any party will enjoy entertaining in this beautifully upgraded kitchen all the while allowing them to have the wonderful views of the outdoor green space in the warm weather, or the cozy gas fireplace on those chilly fall nights. After your hosting duties are complete and you hang up your chef~s hat, your private bathroom oasis awaits you. With your on demand hot water you will be all set to step into your oversized shower or soaking tub and relax. Now you are sure to rest easy in your beautiful master bedroom with lighted tray ceiling to add a calming effect. This home also offers 2 additional nice size bedrooms for your overnight guests or extended family with a Great Room boasting a wet bar area for all to enjoy. This model offers plenty of closet space along with a two car garage. But wait~let~s not forget the full unfinished basement, a clean caas for you to get creative with! Home is being constructed by Elite Home Builders. Still time to pick out your colors! Image portraying the coffered ceiling in the great room is an upgrade.